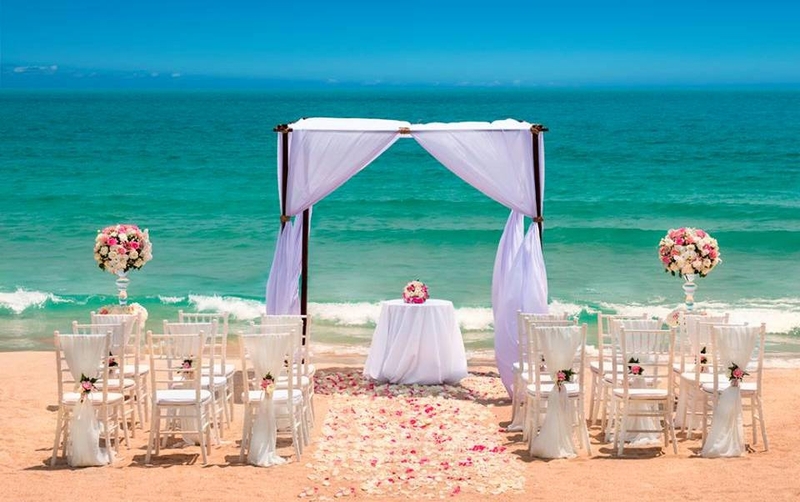 Set in the idyllic and picturesque setting of Indonesia's stunning island, the Sheraton Senggigi Beach Resort provides the perfect location to make sure your wedding is an unforgettable occasion. The Moment Package: Couples can choose from either a poolside, beach or tropical garden venue, all of which look out over the private bay of the Sheraton Senggigi Beach. The package also includes wedding signage, floral decorations, a bouquet and boutonniere for the bride and groom and a one tiered wedding cake. The I Do Package: This package includes the same as the above, in addition to a bottle of sparkling wine, a romantic paradise dinner for two, a sasak massage for two and a night's stay in the Beach front villa including breakfast. Have a look at the website for full details of availability and prices which vary throughout the year.